Walter J. Mathews concentrates his practice on securities and commercial litigation representing both plaintiffs and defendants. 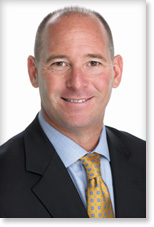 He is the founder and managing partner of Mathews Giberson LLP (formerly known as Walter J. Mathews, P.A.). He is dedicated to providing his clients with individual attention and top quality legal representation and advice. From 2002 until 2006, Mr. Mathews was Senior Counsel with the U.S. Securities and Exchange Commission in the Division of Enforcement, Southeast Regional Office. At the SEC, Mr. Mathews represented the interests of hundreds of investors by investigating and litigating potential violations of the federal securities laws including, but not limited to: fraudulent unregistered offerings, accounting frauds, insider trading, market manipulations, options backdating, Sarbanes-Oxley violations, Regulation D violations and false press releases. Mr. Mathews was also a counselor for the EEOC involving SEC employment matters and an intern coordinator where he supervised over a dozen interns in the SEC’s Summer Honors Law Program. Prior to joining the SEC, Mr. Mathews was an associate at Mandel & McAliley, LLP n/k/a Mandel & Mandel LLP where he focused on securities and commercial litigation. At the Mandel firm, he served as counsel to the Receiver in a multi-million dollar Ponzi scheme and his litigation experience included an accounting negligence case. He also assisted with the defense of several individuals that were facing criminal prosecution for white collar crimes. From 2000 to 2001, Mr. Mathews was an associate at Tew Cardenas, LLP in its Miami office. At the Tew firm, he represented both plaintiffs and defendants in securities and commercial litigation actions. He also litigated, prepared and/or tried several NASD (now FINRA) arbitrations on behalf of claimants and respondents. Mr. Mathews resides in Fort Lauderdale, Florida, with his wife, two sons and dog. He is an avid outdoorsman who enjoys sailing, physical exercise and skiing. He also competed in four marathons.